Human presence at Malia during the Neolithic period (6000-3000 B.C.) is attested only by potsherds, but habitation was continuous from the middle of the 3rd millennium B.C. until the end of Prehistory. Houses of a Prepalatial settlement (2500-2000 B.C.) have been found under the palace, while graves of the same period are located near the sea. The first palace was built in around 2000-1900 B.C. The already existing significant settlement of which are preserved parts around the palace, was then converted into a palatial centre-city. The palace was destroyed in around 1700 B.C. and rebuilt in 1650 B.C. at the same site, following the plan of the older palace, while a few changes took place 50 years later. 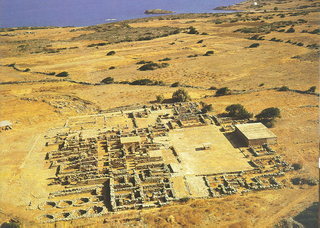 The destruction of the new palace came in c. 1450 B.C., along with the destruction of the other Minoan palatial centres. 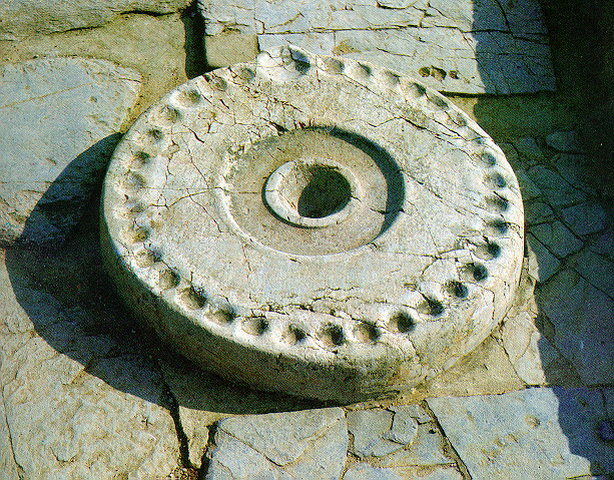 The site was reoccupied for a short period in the 14th-13th century B.C. Remains of a Roman settlement cover an extensive area at the site called "Marmara", where a basilica of the 6th century is also preserved.